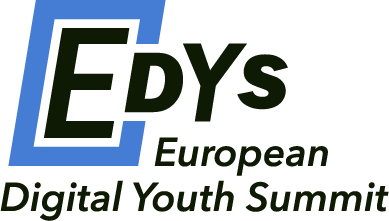 Over the summer GEYC is hosting 2 volunteers through the Erasmus Placement programme, Ferhad Orucov from Azerbaijan and Halit Tosun from Turkey. 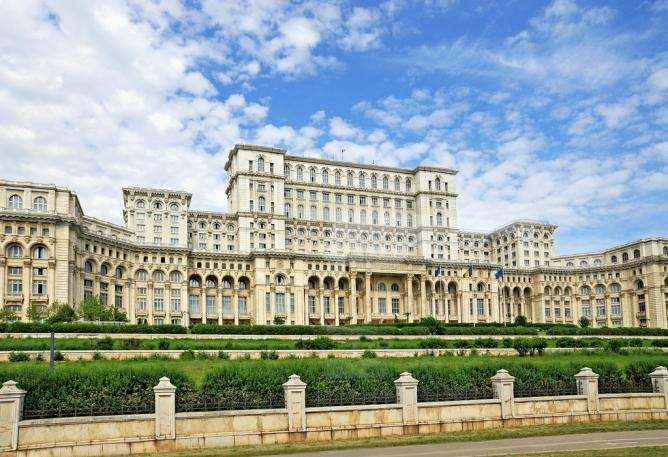 They visited parts of Bucharest until now and they want to share their impressions about two of the main tourist attractions in the capital city of Romania. There are many beautiful and historical buildings in Bucharest, the capital of Romania. 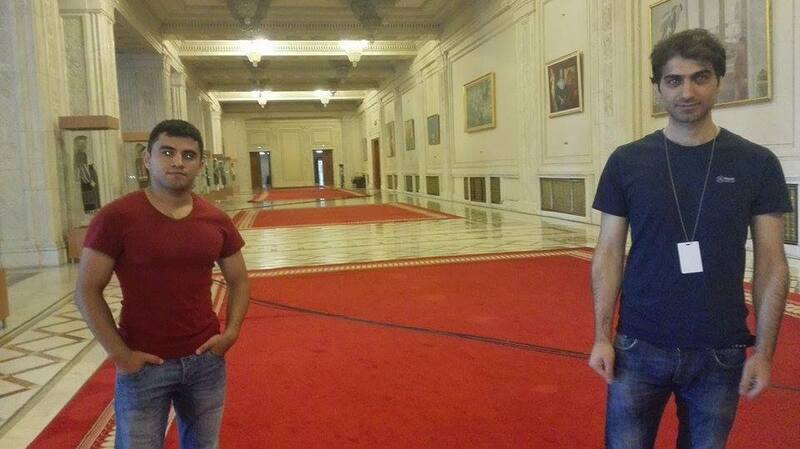 The most famous building in Bucharest is Palace of the Parliament. The Palace of the Parliament is the second largest building in the world after the Pentagon in the United States. 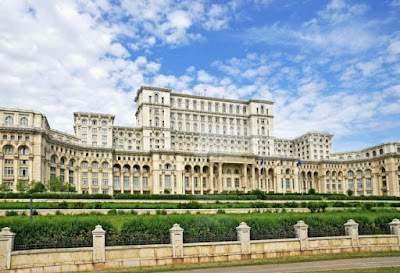 This building is built in the communist era by the dictator Nicolae Ceausescu who had ruled Romania between 1965-1989 years. For the construction of this gigantic structure Ceausescu ordered the destruction of 19 Orthodox churches, 3 Protestant churches and 30,000 houses from the surrounding area. Even if the construction started in 1984 and 20,000 workers and 700 architects worked for it, the interior of the Palace of the Parliament is still not fully completed. 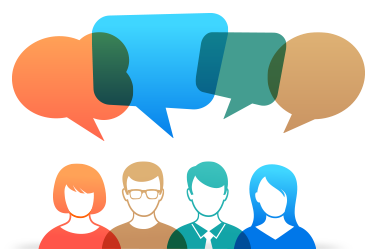 There are large meeting rooms, relaxation rooms, guest rooms with beautiful embroideries, pictures and statues. After an hour trip in the building the guide told us that we had travelled just 3% of the building and that is a proof of how large building it is. Another place that made our day perfect was the Village Museum. 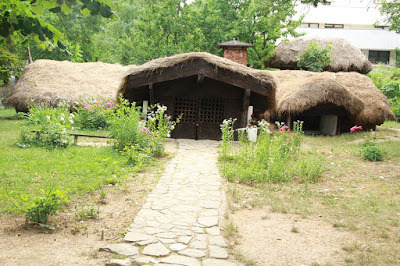 It is an open-air ethnographic museum located in the Herăstrău Park. There are many old and historical houses, places for praying, wine barrels and it reproduce the real life from the past villages. To visit there is really cheap, especially for students. Near to the Village Museum there is the biggest park in Bucharest. There will always be people running, resting, reading, walking with their pets or lovers, children and so on in the park. Because in the park it is a lake you can also take a tour by boat. To discover Bucharest with its kind people is quite interesting. For being always with us we want to say a big thanks to GEYC and GEYC Resources Center team and especially for this great day we want to say thank you to Bianca and Deea, two active volunteers from GEYC Community.